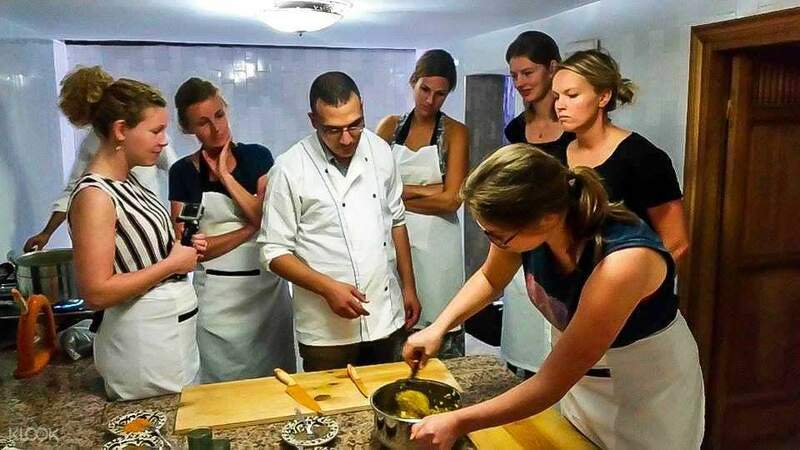 Enjoy learning how to make authentic Moroccan cuisine with the help of a local chef in this five hour cooking class! Your experience takes you through the entire process, including shopping for ingredients, which will be done first. In the local marketplace, the chef will help you determine how to properly shop for the items you'll need for the different dishes you'll be cooking. You may even pick up a trick or two on bargaining for a price, as well as important words or phrases you need to learn when shopping in a marketplace. Once back at the workshop, an array of tools and utensils will be laid out for you, and the lesson can begin. You'll learn traditional cooking techniques, including the careful use of pottery. Throughout your workshop, you'll taste and enjoy some Moroccan tea and snacks. 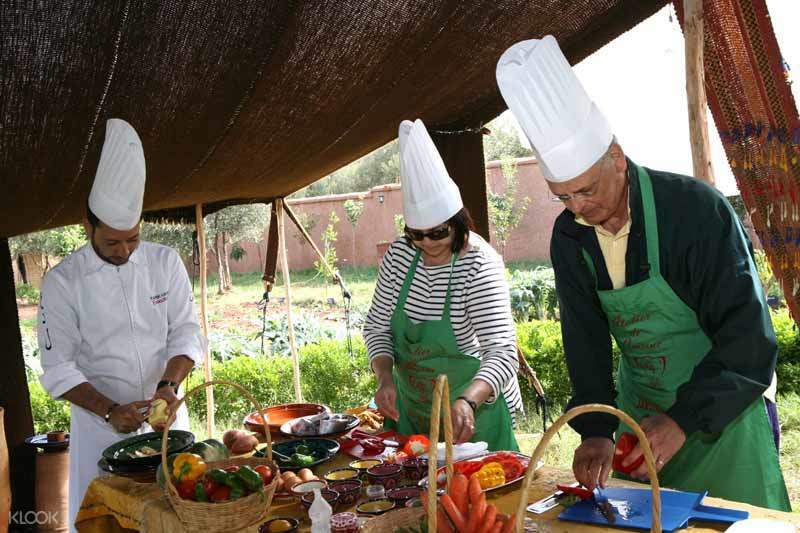 A full meal will be prepared through your hands: salads, a first course, bread, a main course of Chicken Tagine and bread, and then fruits or vegetables for dessert. Developing a new skill in a new place is the best kind of souvenir to take home! Enjoy the authentic meal you've crafted with your own hands!